There are certain areas in town that have become known for the bad state of the road surface, and when such an area is next to a school, this becomes an even bigger problem. In Botha Street, next to Alpha and Omega School, there is a section of road that is scattered with potholes. There is also a large section on the side of the road, where there is no tar left, making the road surface smaller. As this is close to a primary school, there are many children walking in this area that are very young and do not yet understand the dangers that vehicles can pose for pedestrians. 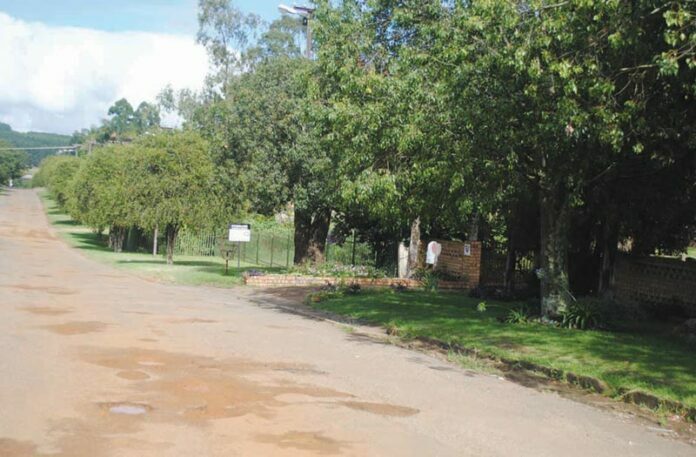 Even though the school makes a big effort to ensure that none of the learners cross the road without supervision during school hours, a young child can still play here after school, while waiting for a parent perhaps. Due to the large number of potholes, the driver of a vehicle can loose control of their vehicle when driving too fast. An accident can occur and injure a child. A request has been sent to the Mkhondo Local Municipality to address the issue and feedback will be given once a response has been received. Be Patient & Arrive Alive!